We’ve all just about had enough of pre-season by now, so luckily the start of the season is on the horizon – and let’s just hope it goes a little better than our recent opening game lull. It wasn’t just last season, when we failed to win in our opening five league games, where the first game has been a bit of a nothing-ness. Over the last few years we’ve not really many opening day results to shout home about, and the first game of the season has never been all it’s cracked up to be. Of course, we’re excited to fill the void in our Saturdays again – but I can’t wait to just get the first game over and done with. There is so much expectation that never really gets lived up to. Perhaps it’s an age thing, but I was brought up with goalkeepers being the stalwarts of their team. Undoubtedly I was spoilt rotten by the stats of Dickie Guy – nearly 600 appearances, including 275 consecutive games and a spell between January 1970 and August 1977 when ‘El Presidente’ missed just one game (a relatively low-key London Senior Cup tie) – and thereafter came Dave Beasant, 340-plus games, Hans Segers with 317, and Neil Sullivan circa 200, which would undoubtedly have been more but for two broken legs. Such longevity went out of the window in the early AFCW years of course. Hands up who will remember the likes of Lee Carroll, Clark Masters and Tony Smith in a few years’ time? Corrin Brooks-Meade anyone? Andy Little would have been ideal if we could have snared him earlier in his career and Seb Brown threatened to write his name large with his Eastlands heroics, but these days, even in the more rarefied air of the third tier, it all boils down to two choices . . .
You can make a case for either of course. The loanee is arguably a bigger gamble. For every yin of Kelle Roos there is the yang (or in his case the clang) of Ben Wilson. Their parent club can, in many cases, recall them at a moment’s notice should they either need them for their own requirements or to loan-on for more advantageous terms – or to sell if a suitable offer is received. And there’s the rub: if they are not good enough, there is the inevitable clamour for them to be shipped back; too good, and envious eyes are quickly cast towards them. Permanent signings are also not without risk, on the basis that homework will be done on them for their technical abilities as well as the necessary cojones and personality to fit into often complex and occasionally abrasive dressing room cultures. That said, I’m still perplexed how a 35-year-old Ryan Clarke, with an apparently dodgy shoulder and a career spent almost exclusively in the Conference or League Two, was recruited so quickly for our League One campaign last season. That he lasted nine games before a parting of the waves occurred tells me we got that one horribly, horribly wrong. This summer the approach seems to have been somewhat different. James Shea can consider himself unlucky to have been dispensed with, as the management indicated they wanted a different type of goalkeeper: taller, more commanding and with the ability to pull off spectacular saves seemed to be the wish-list – a list that stretched to fifteen candidates, we are informed. I wondered if Chelsea’s Jamal Blackman featured on that register for, having been toughened up by a good season in League Two with Wycombe, a natural step-up in levels seemed to be the next, logical, career progression for him. Quite how much the Chairboys contributed towards his alleged £13,000 weekly wage at Stamford Bridge is open to conjecture, but with Neal hinting that, “we wanted a Chelsea player on loan, but you have to give presentations, promise to play or improve them, and then you get told we are ‘too lowly’”, perhaps it was for the best. So George Long it is then. He ended last season third choice at Sheffield United behind Simon Moore and, later, teenager Aaron Ramsdale – who has since joined Bournemouth for a million pound fee – but his pedigree is pretty impressive for a 23-year-old: one hundred first-team games for the Blades, SPL experience with Motherwell, an England U20 cap, and courted by the likes of Scunthorpe and Portsmouth. The word on the street was that he’s vocal, with a kick on him, and just needs to play. He’s also out of contract at the end of 2017-18, so perhaps this loan could turn into something more permanent. First impressions against a strong Watford side were very positive. Several good blocks, including some good positional anticipation and a couple of clean catches, seemed to get the crowd onside almost immediately, which ‘Longy’ (groan) visibly responded to. Early doors of course, when he hasn’t played competitively as yet, but I’ve seen enough to think he’ll turn out to be a good ‘un. I certainly hope so anyway . . .
We’ve lost Tom Elliott . . . When I read that Tom Elliott had left the Dons, the first words that came out of my mouth took my friend by surprise. In all honesty I was quite taken aback too, as it wasn’t the observation I had intended to make. It was rather obvious that we would miss his aerial presence up front, and he was also in possession of a deft touch that belied his height and build – and Notts County and Yeovil’s goalkeepers would certainly attest to the powerful shot he had in his armoury, although as both of those wonder strikes came within a couple of weeks of each other in January 2016, that previously unforeseen power might have been explained by a particularly carnivorous Christmas or a hefty dental bill that made him take his frustration out on a football. His record of 15 league goals in 78 games is hardly anything to write home about, but his overall contribution was far greater than that return might have suggested. Tom Elliott was also one of those players who “got” our club. I know there are people out there who detest that phrase but on this occasion I make no apology and seek no alternative as it’s entirely appropriate. Maybe there is nothing to “get” about Barnet or Morecambe, but there is something deeper to understand about AFC Wimbledon and he seemed to pick up on it very early on. 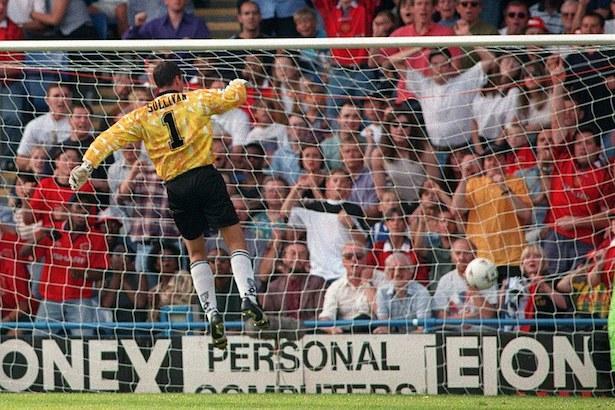 He was also a player that really appreciated the support of the fans and at times appeared genuinely touched by the rapturous reception he would inevitably receive as he was substituted, even after he’d had a rare ineffective game. We won’t be hearing that song any more as we quite clearly haven’t got Tom Elliott, but another thing that has to be said is that no-one seems to begrudge him his move to the Championship – he wants to better himself, earn as much from football as he can and play at the highest level possible – and judging by his comments when he first signed for Millwall, he appreciated everything our club did for him as much as we appreciated what he did for our club. So what was it that I’d said that had caused my fellow Don to react with puzzlement? I still stand by that. I genuinely believe that that is where we find our side slightly weaker than the last couple of seasons. How many times in his two years with us did he get his head to a corner and clear the danger for us? I’d argue that it was probably as many times as Robbo and Darius did. I dread to think how many more goals we would have conceded without Tom’s shiny pate deflecting a well-struck free-kick or corner out for a throw or another corner – particularly last season when our opponents’ dead ball delivery was markedly better. His defensive headers would travel 20 or 30 yards to safety as he managed to get as much accuracy into them as he did when he was attacking crosses at the other end. At the recent Meet the Manager event, Neal Ardley revealed that his teams this season will be playing with a new style that eschews the traditional big centre forward in favour of smaller, pacier strikers. One of the reasons we’ve played with a target man since Neal arrived is the state of the pitch – meaning no disrespect to the ground staff whatsoever as you can’t make a silk purse from a sow’s ear – that dictated for most of the season the most potent form of attack was get it up to (for the previous two seasons) Tom and he’ll bring others into the game. With the newly-laid surface in place, Neal is convinced that we now have the basic tools to do the job he wants and I for one am looking forward to seeing Cody, Kwesi and Lyle execute those plans. However, with the tallest of those three players at 5ft 11ins, I can’t help but wonder who is going to be tasked with replacing the aerial ability of Tom Elliott in our penalty area. 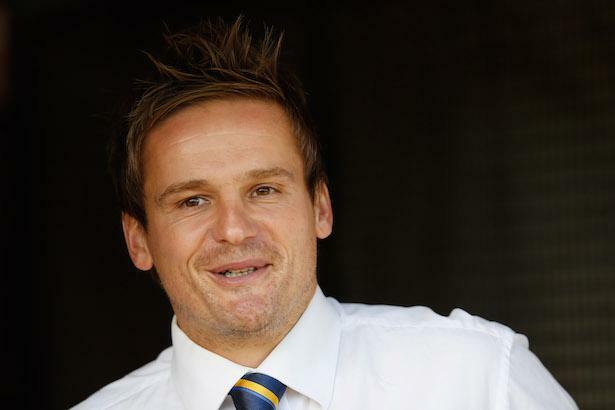 Neal Ardley will be a Premier League manager. Hopefully he’ll perform the role whilst sitting in the home dugout of Plough Lane, but if not, there is no doubt he will one day ply his trade with one of the top 20 clubs in the country. Neal has the focus, desire, confidence, and humility to succeed. He seeks to improve himself every year, and incorporates every aspect of the game into his style, from tactics to fitness to psychology. His willingness to learn and research new concepts and ideas means he has an understanding of how to make things work at any level of the sport, and therefore not allow himself to be ‘pigeon-holed’ as a lower league expert, like many of his contemporaries. And by maintaining high expectations and standards of himself, he not only motivates those around him, but he upholds his ability not to sell himself short, meaning he knows what he can offer, and should he move on, it will be on his terms, with a club he is confident is the right fit for him. At the moment, there doesn’t seem to be any evidence that that club won’t continue to be ours for many years to come. By that, of course, he means that he is allowed to get on with his job with very little, if any, interference from those above him. As Neal explained, in this age of instant gratification, opportunities to have the time needed to fully do the job you wish to do are extremely limited – and he already considers himself lucky to occupy one of just 92 roles on offer. We are even luckier that he is filling that role with us. For it is an event like Friday’s, when the gaffer is allowed to be a bit more candid with his comments, that you really get a feel for the person behind the full-time round of applause and carefully-worded post-match comments. As I say, Neal’s passion shines through, but more importantly, the ability to explain the logic behind his decisions, which are scrutinised at length by us all, allows us to realise how complex and considered each judgement is, and how no decision is ever made without thorough thought, consultation, and examination. A lesson for us all, perhaps, when frustrations begin to boil under the surface on a damp, cold, Saturday afternoon. As for more of the specifics of Friday’s Q&A, there were some key takeaways. Be they fascinating, reassuring, or concerning, they are all things we should be considering throughout the early part of the season, if not beyond . . .
Neal admitted he got this wrong last season, and was determined not to make the same mistake this year. The theme that connected his ‘mistakes’ was team spirit: he said that whilst he was aware of problems, it was during individual player meetings in which he finally connected all the dots. We assume, fairly safely, that is why Tyrone Barnett has departed, and why Neal was not too upset to see Poleon go. Of course, we were a month behind in our recruitment process last season, which is a fair mitigating factor – not that Neal seeks to use that as an excuse. But this summer, key business was completed quickly, with targets that the management team knew would embolden team spirit, rather than upset it. Yes, some might turn their noses up at the return of players we’ve had previously, but as Neal said, their quality is not in question – as we have seen with our own eyes – and we are certain they will effortlessly settle into the squad. Jake’s departure has upset preparations a little. Whilst Neal was aware this could happen, I think he was banking on it not, and we do now have a little concern in the midfield area. 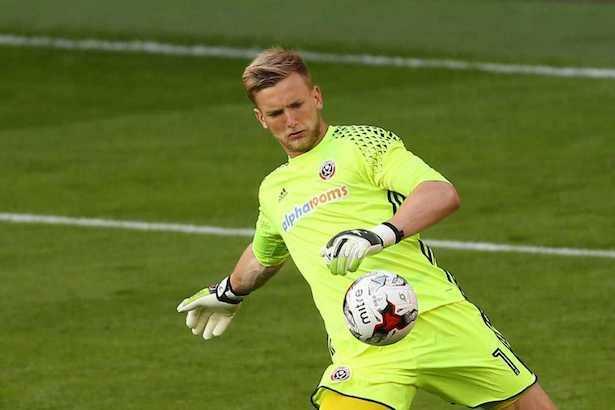 As I discussed last week, Tom Soares and Dean Parrett will be expected to cover for the time being – but Parrett is one that has to gain the trust of Ardley, and quickly. Neal explained that he felt Dean had not contributed enough last year, despite statistics that have been used to the contrary by people like myself, as for a midfielder that doesn’t do the defensive side of the role, his attacking influence should have been greater. In the meantime, Ardley is searching for another two players in that position. Spending money to help fulfil the role wasn’t hinted at as being an option, and we have trialists in the squad currently. Again, for those that might turn their nose up at that, Neal points out that Reeves was signed as a player who couldn’t get a game at Swindon, was brought in on a free, and has left for a large fee. Why can’t we repeat that process now? The other option is to bring through our Academy players, such as Alfie Egan, as fans, and the Football Club Board, clamour for. But Neal is more reticent, as we have seen, feeling that our younger players are either not physically ready for consistent first-team football, or, simply, are not good enough. In his time as manager, around a dozen Academy players have been given their debut. Neal believes around a half to three-quarters were not good enough. This is an honest but very difficult message to deliver, yet it shouldn’t be. As Neal explained, whilst we might see the fantastic progress of our young teams, especially in the FA Youth Cup, we need to remember that they are playing in their own age group – if not against younger ages, on occasion – and that the gap to first-team, men’s football is a big one to bridge. The oft-cited Manchester United Class of ’92 are the outstanding exception to the general rule. So whilst Toby Sibbick, Alfie Egan, and Antony Hartigan appear to be the most likely to get experience this season, we must still remain patient with them. For some in the past, such as Ben Harrison, it was too much, too soon, and we don’t want others to suffer the same fate. A small but most notable discussion centred on the use of statistics, and how best we can use them next season. As we know, Neal is very keen on monitoring all the quantifiable aspects of a game, but sometimes it is tough to translate into setting targets – there are many variables to consider when asking Andy Barcham to provide x number of assists a season, for example. Neal identified two that he thinks we can control, monitor directly, and that should benefit our performance: he wants us to be in the top six clubs for metres run, and recovering the ball in the opposition’s half. So keep an eye out for a lot of high pressing from us once the season gets underway. Finally, predictions for the coming season. Once again, we’re in the lower reaches of the budget table, but once again, Neal doesn’t set expectations in line with that – nor do the players do that of themselves. However, it does mean we have to maintain a sense of realism. Not only is our budget and squad small, but the league is much stronger this year, with the clubs coming down in good shape, and four well-resourced clubs coming up from the opposite direction. Last season, Neal was able to predict four teams that would be battling in the lower reaches of the table, and was correct on all of them. This year, he would only venture one – Gillingham – and that tells its own story. So whilst he believes we have strengthened, he will know that maintaining our position in League One is the main aim. That said, he wants to improve on last year, and motivate his squad, and be realistic. He thinks we’re capable of a top 10 finish: I would, cautiously, agree. 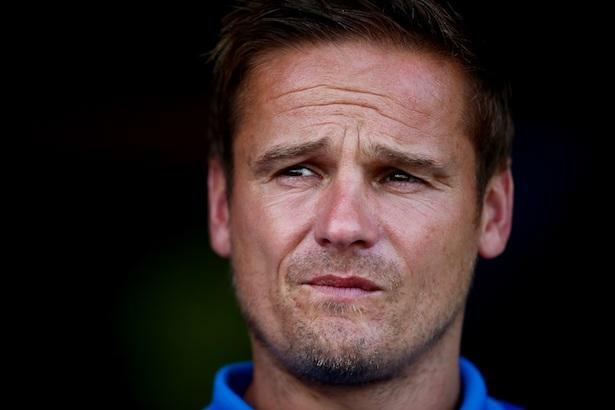 Neal Ardley’s biggest challenge this season will be managing the broad range of characters and varying levels of confidence within the first team. He did this to great effect in our League Two promotion season, building around a strong, demanding spine that ran from Darius Charles to Lyle Taylor via Dannie Bulman and Jake Reeves. But we enter pre-season this week less three of those – and with a couple of brash personalities thrown into the mix. So whilst Neal will have to encourage and embolden the centre of his midfield, he will also likely need to placate the ardour of his forward line. His track record with Lyle tells us he can manage individuals, and get them to manage their frustrations. However Kwesi Appiah and Cody McDonald are different animals, and although the latter found it “easy to integrate” on the first day of training, things can easily change when competitive action begins. Of course, Kwesi played under Ardley previously, in 2014 – scoring three times in seven appearances for us whilst on loan from Crystal Palace. He was very popular with the fans, but his style would have been less appreciated had he been playing against us, instead of for. His game had niggle, be it a sly nudge off-the-ball or a cross word with an official, and an edge that can lose you a man as much as it can win you three points. On the other side of the coin is the apparent dearth of leaders in the middle of the park. Dannie Bulman and Jake Reeves were not only popular in the dressing room, they led by example on the pitch with their energy and drive. They were not players to hide if things weren’t going our way. Filling the gap they leave behind is not a job Neal would have had on his to-do list at the end of April, and as it stands, Dean Parrett and Tom Soares will be the ones to expected to cover. The pair will need some positive reinforcement if they are to succeed. 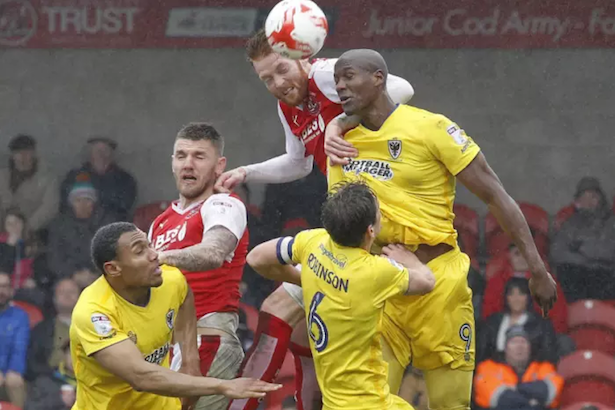 Parrett, despite being credited with more assists than any other Dons player last season, is believed to be one player that Ardley was happy to listen to offers for in the summer. Used sparingly throughout the campaign, his final appearance came as an 88th minute substitute on the final day: a decision from the manager that looked to have a serious message underlying its otherwise baffling nature. Soares, meanwhile – a regular starter after joining in February – came from a struggling Bury side, who had endured an 18-match winless streak between October and January, into one that could not find any semblance of form. His confidence had clearly taken a knock, and now he must hit the ground running at the start of the season, or find himself an outlet for the frustrations of sections of an already nervous Kingsmeadow crowd. And that is Neal’s job: creating an environment in which Parrett and Soares are motivated, confident, and secure. It’s also the job of our forward line not to put any further pressure on any less assured players. And it’s also the job of others in the squad to bring the team together. Barry Fuller and Paul Robinson are natural leaders: they must be Neal’s voice on the field, keeping egos in check whilst, at the same time, boosting others. And if they do that, we’ll be on to a winner, because this squad bears the hallmarks of the stereotypical ‘Wimbledon’ team, much like the one of 2016. It was the spirit in that camp that took us from a rock-bottom defeat to Stevenage, and an ill-informed Christmas party, to winning at Wembley six months later. That was no fluke: it was a promotion built on togetherness, with egos left at the door, driven by men who did not allow standards to drop, but knew how to motivate others. Fuller, Robinson, Taylor, Meades, Charles … these are the players that remain from that squad that Neal needs to trust to take responsibility for maintaining that confidence and unity in the team. And Neal himself must know how to take care of those that might upset the balance. Having come through the Wimbledon youth system to handle himself alongside Jones, Fashanu, Sanchez, and Segers, it’s probably fair to say that our gaffer might just have an idea on how to make it work.